Customer experience management (CEM) has been recognized as the future of customer service and sales. Companies are using this approach to anticipate customer needs and adopt the mindset of the customer. It's a strategy well worth pursuing, and an opportunity for any business to turn customer experience into growth - and profit. In its 45th year of service, Dallas-based Southwest Airlines (LUV, on the NYSE) continues to differentiate itself from other air carriers with exemplary customer service, delivered by more than 47,000 employees to more than 100 million customers annually. Southwest operates more than 3,600 flights per day, serving 95 destinations across the United States and six additional countries. The company's net income of $691 million in the second quarter of 2015 is an all-time quarterly high, and its 9th consecutive quarterly record. In fact, Southwest has had 42 consecutive years of profitability. At Southwest they believe that developing a superior focus on customer experience starts with treating their employees well. They put a very high premium on how they treat their people, believing that when they make their employees happy, they will transfer that attitude to the customers. It's one of the reasons their customers keep coming back. I have tracked the stock performance of several companies, and even during the recession years of 2007-2012, customer experience leaders averaged double-digit gains in stock performance, beating customer experience laggards by an impressive margin. Leaders included Amazon, Apple, Costco, Starbucks, Metro Bank, and Southwest Airlines, to name a few. These companies have proven how effective service and customer experience actually are at enhancing volume and profit. They connected the dots a long time ago and are going to the bank with more customers and impressive profits. Despite these findings, many organizational leaders struggle to connect the dots between customer experience and business outcomes. Southwest's purpose is to "Connect people to what's important in their lives through friendly, reliable, low-cost air travel." That was true on day one in 1971, and it continues to drive their passion today. Southwest's vision is "To become the world's most loved, most flown, and most profitable airline." It's in the customer service business, not the airline business. This is a mindset and paradigm switch. Very few firms realize they are in the service business. It uses technology to increase speed and keep prices low. It values its employees. This is rare for most firms, but a must for service leaders. It uses price to drive business, but it is built around service. It attracts high-performance employees - the cream of the market - because of its reputation. Recognition, not money, drives performance. The marketplace values a service leader. It uses it assets, planes, and fuel more effectively than competitors. And, it's still working today. The vast majority of its employees are unionized. They've achieved success without resorting to layoffs or pay cuts. And employee dedication shows: Southwest consistently holds one of the top rankings in customer satisfaction and has repeatedly been ranked as one of the World's Most Admired Companies by Fortune magazine. 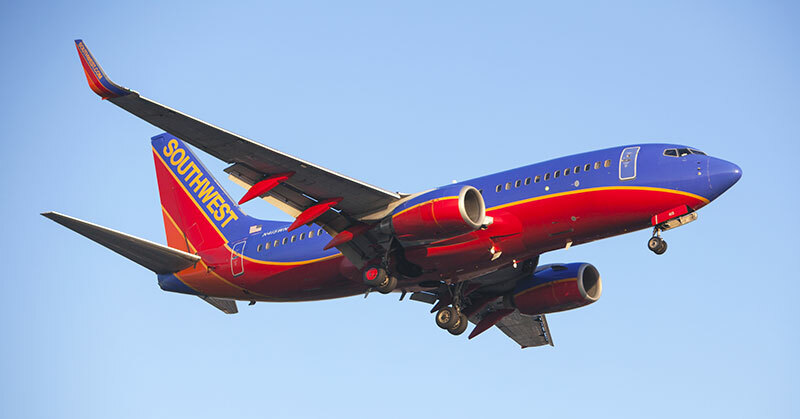 Southwest thinks of itself as a customer service company that happens to fly airplanes on schedule - and with personality and perks along the way! Only when a company 1) knows exactly what kind of service its customers expect, 2) delivers on those expectations 100 percent of the time, 3) at a price that customers are willing to pay (while still getting an acceptable return), can that company claim to excel in customer service. Southwest excels in the customer experience and enjoys an impressive annual profit. They've known for years that customer service doesn't cost... it pays! John Tschohl is founder and president of the Service Quality Institute in Minneapolis. Described by USA Today, Time, and Entrepreneur as a "customer service guru," he has written several books on customer service and has developed more than 26 customer-service training programs distributed worldwide. His strategic newsletter is available online. Contact him at john@servicequality.com or (952) 884-3311.